Our vision is to help save them all so Riverside can be a no-kill community. 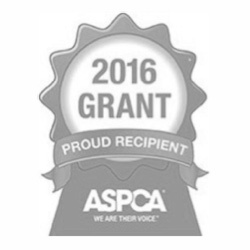 We rescue and treat vulnerable at-risk companion animals and place them in forever homes. 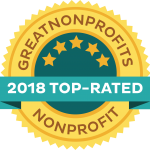 Thanks to our fans, Foster Army Animal Rescue is one of the first winners of a 2018 Top-Rated Award from GreatNonprofits! Read inspiring stories about us and add your own! 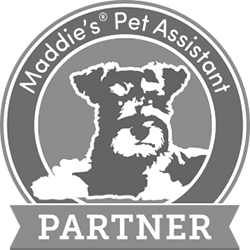 Click on the Great Non-Profits logo to go to our page on their site and show your support for Foster Army Animal Rescue. Over 4,900 treatable companion animals were euthanized in Riverside in 2017. Sweet Elizabeth is a playful, happy little dog! She has cerebellar hypoplasia, a disorder that causes her back legs to move a little awkwardly. But don’t tell her that - she is fast as can be! People say she’s “so ugly she’s cute,” but we think she’s just plain cute, with her wild hair, wonky legs, and underbite. She wants to be adopted with her Brother From Another Mother, Darcy. Darcy is tiny and cute as a button! He is shy at first but then will become your happy little shadow. He will follow you around the house, and bounce around in the yard like a bunny! He wants to be adopted with his Sister From Another Mister, Elizabeth. Josie may have been the runt of her litter, but she has the biggest heart! Her siblings have all been adopted, but she has been overlooked due to the fact that she gets a runny nose when nervous (don’t worry, she’s been to the vet and isn’t sick!). She is a curious and cuddly kitten... are you looking for a lapcat? Help us save them all. How can I foster a pet? Here are some of the wonderful like-minded organizations that we’ve had the pleasure to work with.